Save the Date "Hatitudes 2019"
Hattitudes 2019 Rosebud of New York, AFRIKON FOREVER", Featuring the largest African American hat designer in the US Harreit Rosebud. 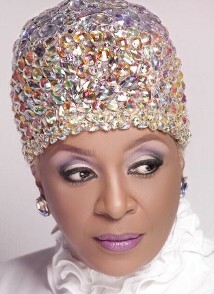 She will appear in St. Louis on May 4th 2019 for two shows 11 am & 3 pm featuring her amazing One- of- a kind hats. Host for the day Actor, Motivational speaker, Commercial model, Victor Dwayne Little, as seen on Native Son, and local celebrity model. Proton of the proceeds to benefit Forest Park Forever. Please share this event and bring canned goods to share with a local food pantry.